Southern Cross University researchers have discovered that a new form of honey, from bees foraging on tea tree, is higher in antioxidants and has sustained anti-microbial activity compared to other honeys. Dr David Rudd from the University’s School of Environment, Science and Engineering conducted the research trials at Jenbrook’s tea tree plantation in the Bungawalbyn Valley region in New South Wales. Southern Cross University researchers have discovered that a new form of honey, from bees foraging on tea tree, is higher in antioxidants and has sustained anti-microbial activity compared to other honeys. Dr David Rudd from the University’s School of Environment, Science and Engineering conducted the research trials at Jenbrook’s tea tree plantation in the Bungawalbyn Valley region in New South Wales. Jenbrook Pty Ltd, which commissioned the work for Meluka Honey, has natural indigenous tea tree plants and a large tea tree plantation on the property and native bees in the area. 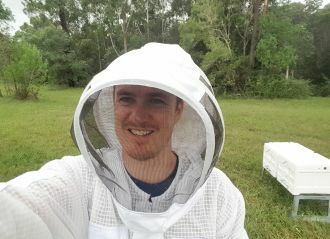 Jenbrook General Manager Bryan Easson has worked closely with Southern Cross University’s Analytical Research Laboratory in Lismore on ethical evidence-based production over many years, and wanted to know whether honey produced from bees foraging on tea tree would contain antioxidant qualities and benefit the bees. 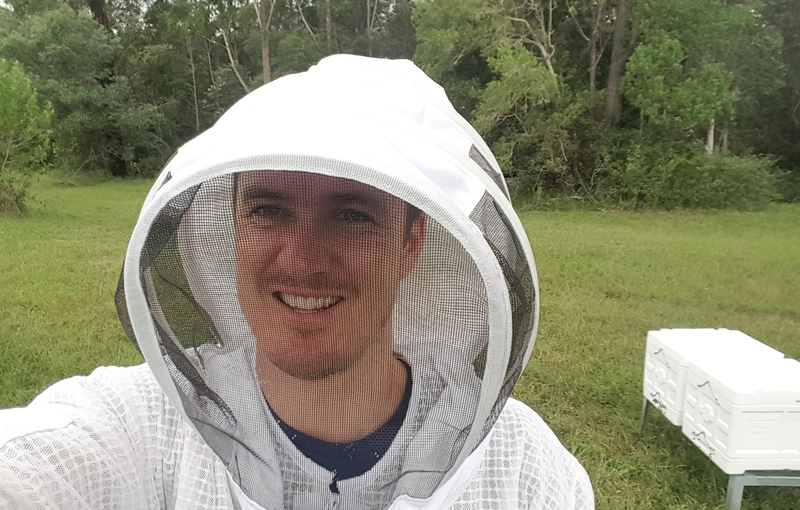 Dr Rudd said his research not only found the Meluka Honey combined strong immediate anti-oxidant activity significantly higher than generic honey, but also how foraging on tea tree plants benefited the honeybees. As he expected, a bioactive monoterpene from tea tree was present in the honey. 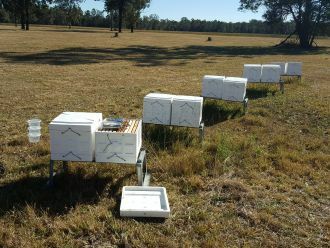 “We found bees foraging on Melaleuca trees produced a honey that combines immediate anti-oxidant activity and a significant sustained anti-microbial activity even in young honey, without having to wait for the honey to mature,” Dr Rudd said. During the research trials, tea tree was provided to the honeybees as a diet supplement and honeybees were also allowed to naturally forage throughout the old growth plantations. The combined bioactivity is believed to be unique to Meluka Honey products. The research findings will help Meluka Honey to finalise its products and to deliver improvements in product formulation, production, handling, storage, transport and marketing. 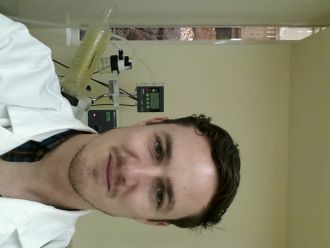 Dr Rudd’s findings were detailed in a report entitled: “Chemical profile and bioactive properties of Tea Tree (Melaleuca alternifolia) based honey products: ‘HON-E-VITE’ Active Serum and Australian Native Melaleuca Alternifolia Honey,” which was commissioned by Jenbrook Pty Ltd, a wholly owned subsidiary of EVE Investments.